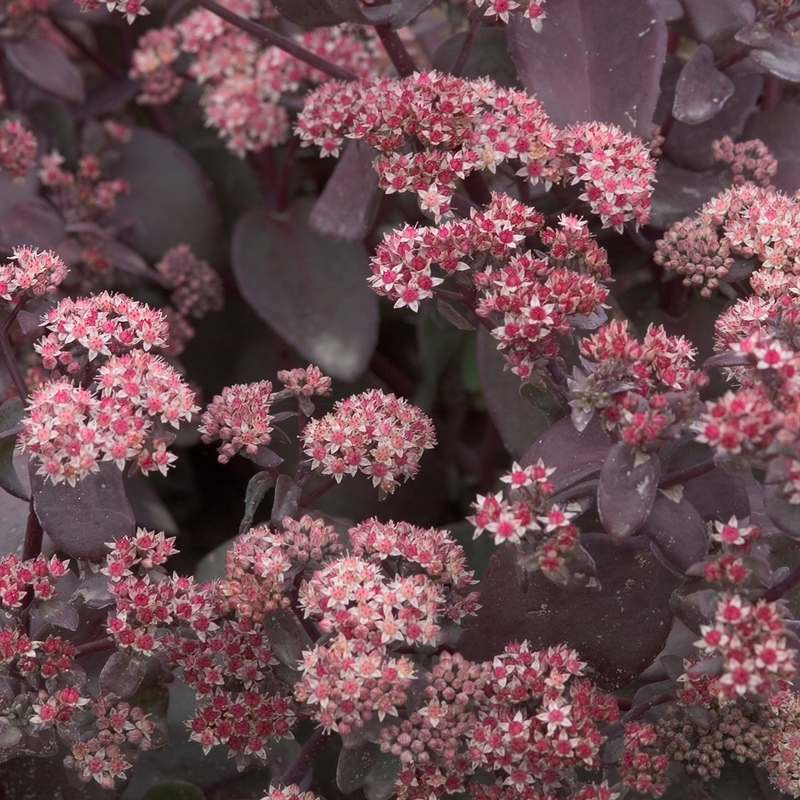 Sedum 'Xenox'. Springtime foliage is green and mauve. Foliage darkens to purple by summer. Red velvety buds open to pink flowers in summer. A perfect choice for container growing. PP#16888.